Cake shop business is not only a popular type of foodservice establishment but it also allows you to express your culinary creativity while serving a unique market. In addition, those who are with non-culinary backgrounds they can get into the industry easily by opening a home bakery. There are unique and different challenges from other types of businesses while starting a cake shop. However, you might want to start a cake business if you spend your off-hours dreaming up cupcake creations, experimenting with icing or coming up with whimsical ways to help your kids blow out their birthday candles. If you want to be a successful cake maker then like any business, an entrepreneurial spirit, not to mention above-average baking skills and you’ll need lots of creativity. Apart from these, you’ll also need to be prepared to put in lots of time and hard work. Because you are interested in and passionate about baking, it’s the first and foremost reason why you want to own and run a cake shop business in Bangladesh. Although you may or may not be a good baker at the moment, the important thing is for you to absolutely love baking and you’ll need a lot of dedication to make the business succeed. The other reasons are the business in much profitable and there are good demands of cakes. That’s why if you’re a creative and expert cake maker then you’ll be able to make good money from this business. But, you shouldn’t jump into opening a bakery just because you can replicate Grandma’s chocolate chip cookies perfectly if you’re one of these talented amateur bakers. You should consider whether you would enjoy spending 10/12 hours in the kitchen every day. Starting a cake shop business is a great way to use your skills and creativity to make some money if you want to supplement your income. Although it has been difficult for people to legally sell food out of their home kitchens, they have worked to change the laws to accommodate home food businesses. This guide can give you the information to help you get started making money off your cake-decorating hobby while laws vary by locality. But, it’s not so easy to open a cake shop that you’re thinking about it. In this case, you should follow some procedures and steps for a sustainable cake business. 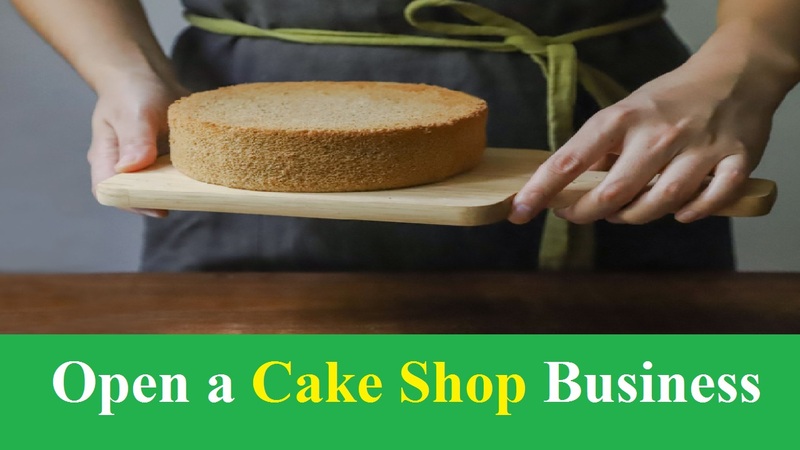 Well, let’s know the steps that are essential to open a cake shop business in Bangladesh. It’s so important to sit down and figure out what you’d like to achieve with your business before looking for space, before hiring anyone, before doing anything. It’s to create a good business plan that comes with almost all that you need to run and get success in the cake shop business. Although some companies go way into detail with this, that is basically what we wrote down, starting with the budget at the top and creating a list of costs underneath. As some are opening any sort of business will almost always cost a little more than you think, keep this in mind when looking at your budget. You have to find out a perfect location for your cake shop business where a moderate amount of passersby is at least. As teens and parents are more apt to make note of your business, optimum locales may include small shops near high schools or college campuses. There is heavy foot traffic during lunch hours from local business personnel in downtown shops, squeezed between restaurants. When your business may be in demand the most, Malls are another consideration, in part due to the heavy traffic they pull in during peak holiday seasons. You’ll need some basic supplies to bake and decorate cakes whether you end up working out of your home kitchen or building a commercial kitchen onto your home. As it helps you stay on the right side of your local cottage food laws, having the right supplies can make baking and decorating easier. You need to conduct some marketing and advertising campaigns to get the word out and create buzz before you open your bakery to the public. There are different types of marketing & advertising strategies for a cake shop business so you can break your bakery marketing with them. If we talk about marketing then it can really help you establish a foothold in your community while many home cake decorators rely mainly on word of mouth. You may also want to consider selling small cakes and cupcakes at farmer’s markets if your local cottage food laws allow it. It can help you know to recommend to your customers as well while getting to know these professionals can result in referrals. There are many costs that you’ll need to consider when starting a bakery. That’s why it’s important to have a significant amount of money so that you can cover these costs. In addition, as it may take a few months after opening for your bakery to become profitable, you’ll need cash on hand to cover costs for several months after opening. Also, you’ll need to take out loans because it’s unlikely that you and your business partners will be able to fund your new bakery on your own. Here are some types of loans that you can consider if you need a business loan.